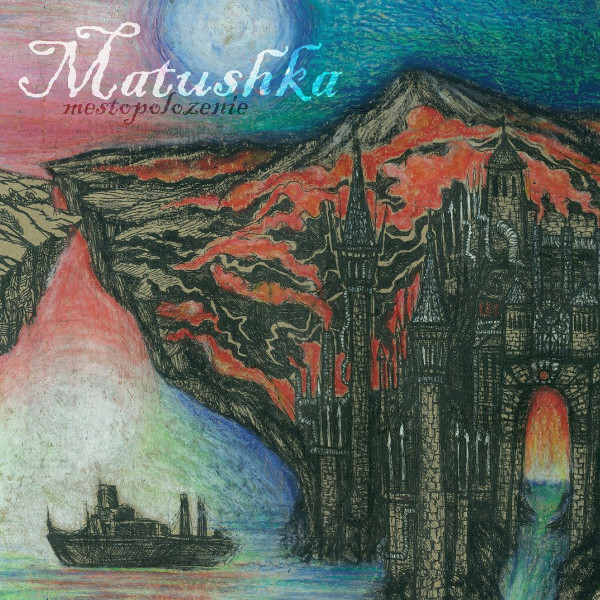 I am reaching the end of the Russian releases and Mestopolozhenie by Matushka from 2014 is one of the best. Think of a Russian Carlton Melton or Wooden Shijps and you will have some idea of where Matushka is coming from. This St. Petersburg duo of Timofey Goryashin (guitar, effects, and percussion) and Konstantin Kotov (drums, effects, and percussion) lay down some pretty cool psych grooves that maintain your interest across the three long tracks: “Location” (14:22), “Carrier” (15:17), and “Polarity” (21:54). “Location” opens with ambient train station and street sounds along with some Arabic, I think, singing that conjures up images of Blade Runner. This soundscape evolves into a low key psych jam with growling guitar. “Carrier” then goes in a slightly different direction with an ambient intro and a hammered zither segueing into an excellent rhythmic jam with wah-wah guitar and eventually bubbling sequencers to close out the track. “Polarity” returns with some ambient street noise that dominates for about five or six minutes over struck guitar chords and drums. Eventually the drums and guitar emerge on their own for a powerful driving jam with arpeggiated sequencers. If you dig mind bending extended psychedelic instrumental jams, then Mestopolozhenie is the perfect album for you.